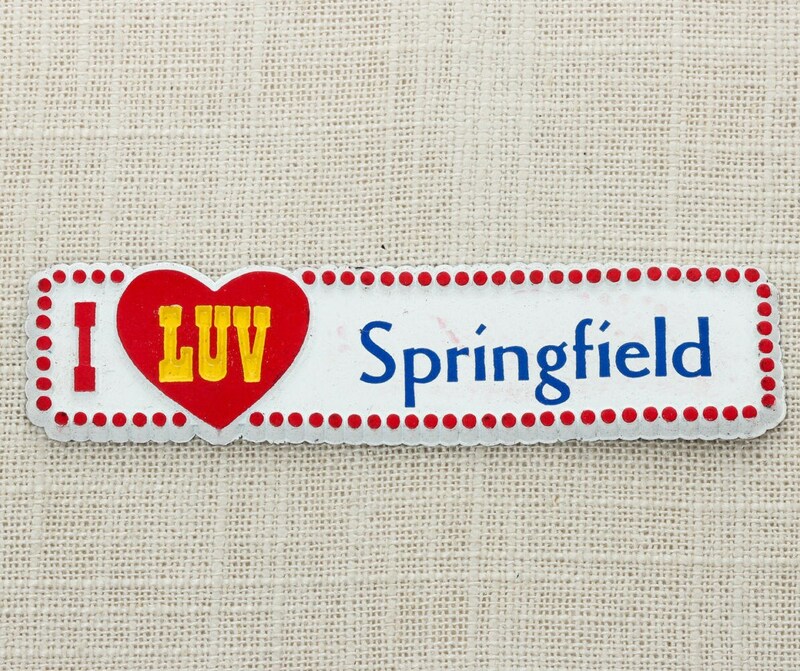 This listing is for one "I LUV Springfield" vintage magnet. Made in USA. 4" wide x 1" tall (all measurements are approximate). This item is new old stock, which means it is vintage (pre-1995), and it has not been used. We do have multiple quantities, so the piece you receive might have slightly different wear than the photo. All items in stock are of similar quality so you won't receive a piece that looks drastically different than this photo. We did our best to show condition in the picture, but if you have any questions, please ask us!